Designed especially for the smaller jet or power boat. 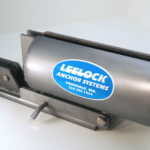 The handmade Leelock #CA-40 40 Lb Can Anchor is designed especially for the smaller jet or power boat. 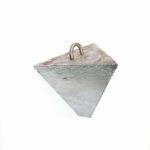 It’s made of schedule 40 pipe with a solid steel cone welded on one end and six 3 1/2 inch claws welded to the other end. The steel shell is then filled with lead around 3/4 inch aluminum pipe. There is a recess in the bottom for the knot in the anchor line. Make your boating easier by using this anchor with either the #LCA-02 Large Anchor Can Assembly with 1/2″ Lock or the #LCA-03 Large Anchor Can Assembly with 5/8″ Lock. They are built to make your day on the water safe, easy and worry free. 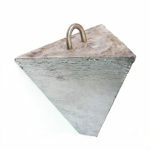 As is the case with all Leelock products, this Can Anchor is built by hand in the USA!